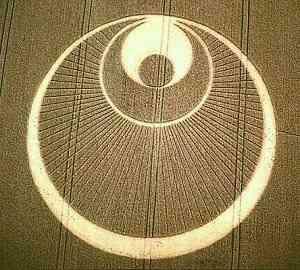 Crop circle is a term used to describe geometrical formations of flattened crops — primarily wheat, barley, canola, rye, corn, linseed and soy — that sometimes appear on different locations around the world. Early examples were usually simple circular patterns of various sizes. But after some years, more and more elaborate and complex geometric patterns emerged. In general, the early formations (1970 - 2000) seemed to be based on the principles of sacred geometry. Later formations, those occurring after 2000, appear to be based on other principles, natural sciences and mathematics designs, including fractals. 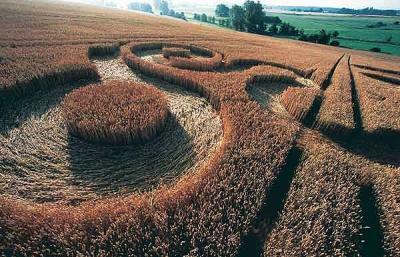 Many crop circles have fine intricate detail, regular symmetry and careful composition. Elements of three-dimensionality became more frequent, culminating in spectacular images of cube-shaped structures. 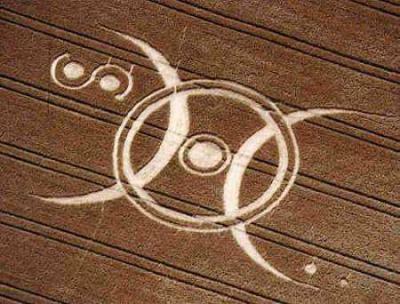 There are alternative theories that say some crop circles are in fact not created by humans. 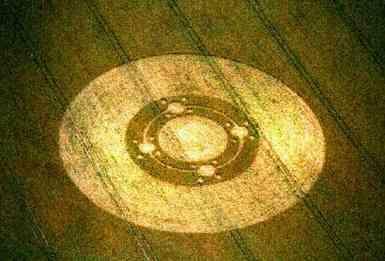 Because many circles occur in the Avebury area of southern England, near ancient sites such as earth barrows or mounds, white horses carved in the chalk hills, and stone circles, it has been hypothesised that crop circles are of paranormal origin. 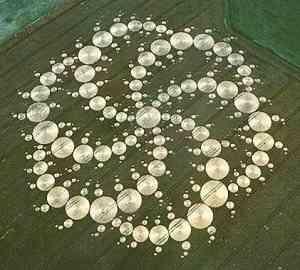 Other ideas on the formation of crop circles have included tornadoes, freak wind patterns, ball lightning, and "plasma vortices". These plasma vortices are best described as “small, local whirlwinds of ionized air.”  A number of witnesses say they have observed circles being created, saying that it takes only a few seconds and the corn falls flat like a fan being opened. 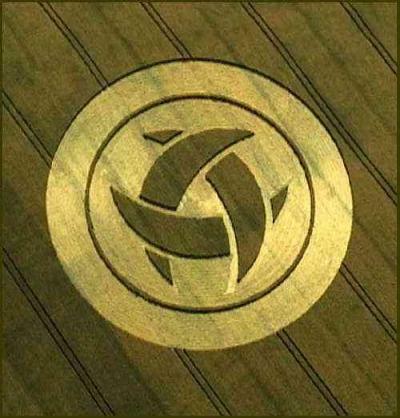 Some believe that crop circles are created by extraterrestrials, either as a means of communication or as an effect of spacecraft engines’ heat. Cereologists insist that the formations could not be created by hoaxers because of the manner in which the vegetation is bent, and not broken. In addition, these individuals point to the deformations in the ‘nodes’ in the plant stalks. These nodes are the joints in plant stems. 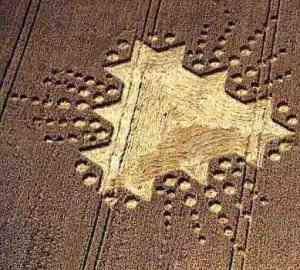 Cereologists claim that in true crop circles, these nodes have shown swelling deformities and rupture holes which have only been recreated in the lab using microwaves. Cereologists believe that these holes are caused by the rapid heating and expulsion of the plants’ internal moisture escaping.